This year, Alsace experienced cool temperatures and high humidity in the winter and spring seasons, through to June. The record low temperatures recorded in May delayed flowering, with such irregularity causing “coulure and millerandage”, or poor fruit set. The decrease in volume for this harvest was foreseeable as early as the beginning of summer. August was marked by strong heat, causing dehydration for some crops. The few rains that came in August were therefore crucial, while hailstorms near Colmar were fortunately limited. In September, the vines were in good health overall. The very high acidity levels early on were reduced, while still ample enough to enhance the flavor of the wines. 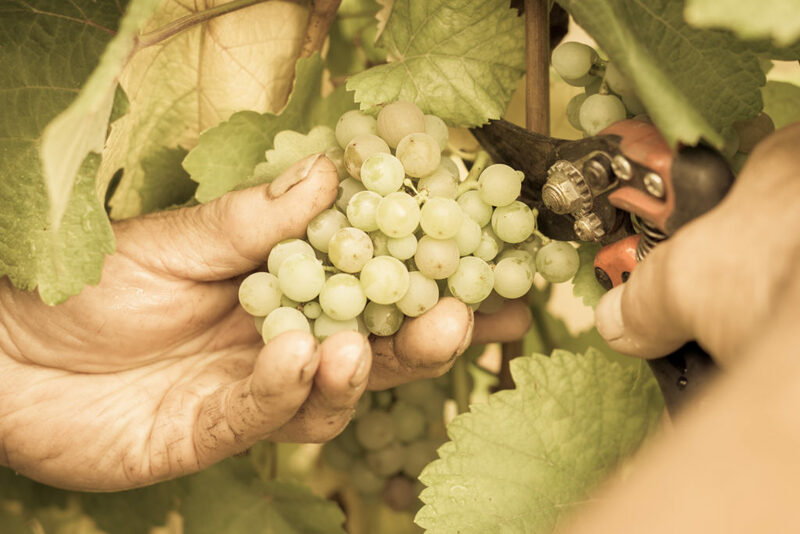 It should be emphasized that at the beginning of the harvest, the region experienced rare, ideal climatic conditions: sunshine, mild temperatures and cool, refreshing nights. This year’s harvest was far from simple! The timing had to be carefully planned for each plot, regardless of the grape variety, dependent not only on unforeseen weather conditions (including rains in early October), but on the evolution and maturation of the grapes and their overall health. AOC Crémant d’Alsace: September 19th. AOC Alsace: September 30 for all grape varieties but on October 7 for Riesling and Gewurztraminer. AOC Alsace Grands Crus: September 30th for all vineyards and all grape varieties (with some exceptions as requested by certain Local Authorities) but on October 7th for Riesling and Gewurztraminer. For the Late Harvest and Selection de Grains Nobles: October 14th.